The utility of this neat Google Drive hack isn’t quite clear from the title, but give this tip a chance. Try it out once and you will see the immediate benefit when collaborating with others on Google Drive. It’s easy to make a copy of any document within your own Google Drive account. But what if you want your collaborators to automatically create copies when they receive share links? This small tip can come in handy when you want to preserve the original document or template while giving others the flexibility to edit a copy of the document for themselves. It will save them a trip to the File > Make a Copy command on the menu. A typical case is a Google Doc that needs to be filled out individually by each respondent. Collaborators can enter the details in their own copy of the document without corrupting the original. You won’t have to ask them to make a copy. Simply follow these steps and the copy will be made automatically for them. 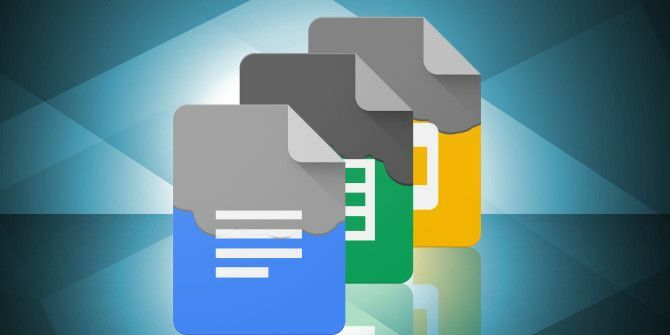 This hack works for all Google Drive tools: Docs, Sheets, and Slides. Open the Google Drive document you want to share. Click the blue Share button on the top-right of the document. In the Share with others dialog, click on the Get shareable link icon. Set the share setting to Edit to update the link. Copy the complete link to your email or any other exchange media. Also, click on Advanced. Uncheck the box that says to Notify people. You don’t want them to get the notification email for the shared file. You want to send the link to the shareable document separately. Click OK to save the changes. Copy-paste the shared link in an email. Now, delete everything after the forward slash in the link and insert “copy”. Send the email and your work is done. When the recipient clicks on the link, it takes them to their Google Drive screen that prompts them to make a copy of your document. When they click Make a copy, a local copy of the document is saved on their Google Drive. The original stays preserved in your account. Looking for more Google Drive tips? Check out these Google Drive tools to get more out of the platform. Have you tried this method before? In what situation has it helped you or you think it can help you? Explore more about: Collaboration Tools, Google Drive, . This is GENIUS!!! Thank you! This saved my day! Saw this being done by someone else but I just couldn't do it, or find any tutorial, until I saw yours. Works like a charm! Isn't it easier just to click on "view only" when you share a file, and then they can click "file --> make a copy" and then edit their own copy? Has anyone ever had that not work? I typed "copy" at the end of the link as suggested and it's still allowing access to the original google sheet. Any suggestions on what might be wrong? I wasn't able to make this work right. When I sent the link with "copy" at the end as suggested it was still allowing access to the original google sheet. Any sugestions?